Pattaya is recognized across the globe for its beautiful beaches and a vibrant nightlife. In addition to the well-known tourist attractions, the Thailand city proudly hosts a wide variety of sporting events and competitions each year, attracting competitors and spectators from around the world. With so much to offer visitors, it is no surprise that Pattaya has become a prime location for both local and international sporting events. The coastal city proudly hosts the Top of the Gulf Regatta every year. Among the largest sailing events in Thailand, it is the only multi-class sailing event in the area. The Top of Gulf Regatta began in 2005 and is held annually in the beginning of May over the course of four days. The event is scheduled in 2017 starting on May 4th. Pattaya also holds the annual King’s Cup Jet Ski World Cup in early December. The King’s Cup features five days of races with competitors coming from around the globe for the popular waterfront event. Held in Pattaya City, this year’s event starts on December 1st and continues through December 4th. In addition to the water-related events, Pattaya hosts an annual marathon. The Pattaya Marathon is an international event attracting runners near and far. Held in July, it includes a full, half, and quarter marathon, as well as a micro marathon fun run and wheel chair marathon. The 2016 event received about 15,000 applicants. With over 20 golf courses, Pattaya is a prime location for golf enthusiasts. One of the courses in Pattaya, the old course at the Siam Country Club, proudly holds the annual LPGA (Ladies Professional Golf Association) Thailand tournament. First held in 2006, the February event expanded into a well-known tournament receiving national media attention. The tournament attracts some of the biggest names in golf and offers a prize fund of $1.6 million (U.S). If visitors are looking for a unique sporting competition with a local flair and rich history, then the Chonburi Buffalo Racing is the perfect event. This event is held annually and features a variety of contests. Around for over 140 years, this culturally rich event attracts both tourists and locals. In addition to the annual sporting competitions, Pattaya offers an endless list of local sporting events every week. A big attraction for visitors, these events include crowd favorites such as boxing, taekwondo, and mixed martial arts. Additionally, local facilities often hold a variety of amateur sporting events each month, ranging from bowling and softball to badminton and cricket. If you are planning a trip for any of these events in Pattaya, it is important to stay at a hotel noted for their excellence. 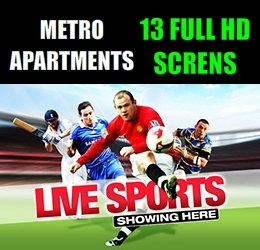 Look no further than the Metro Apartments, centrally located and providing quality arrangements at a reasonable price. 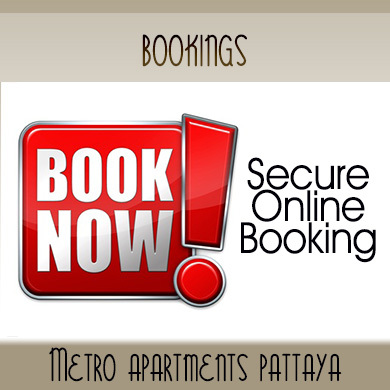 To learn more about Metro Apartments and book your stay today, please browse our website at https://www.metro-apartments-pattaya.com/.